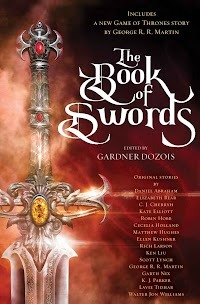 "The King&apos;s Evil," by Elizabeth Bear [bio] (edited by Gardner Dozois), appeared in The Book of Swords (RSR review), published on October 10, 2017 by Bantam Books. Pro: The plot is straightforward: Lzi gets the treasure for her king, killing the wasps and burning the undead king in the process. The fight scene at the end is great. If you think of this as a retelling of the story of the Mummy, it's amusing that the mummy is the victim, the counselor is the villain, and the grave robbers are the heroes. 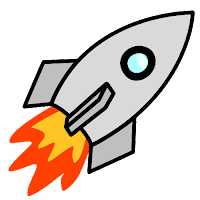 Con: None of the characters is particularly sympathetic, and only Lzi is developed at all. Ptashne just disappears at the end. That seems rather odd. It’s a bit annoying that Lzi freezes helplessly during the fight scene. It’s a myth that women do that in response to an attack.